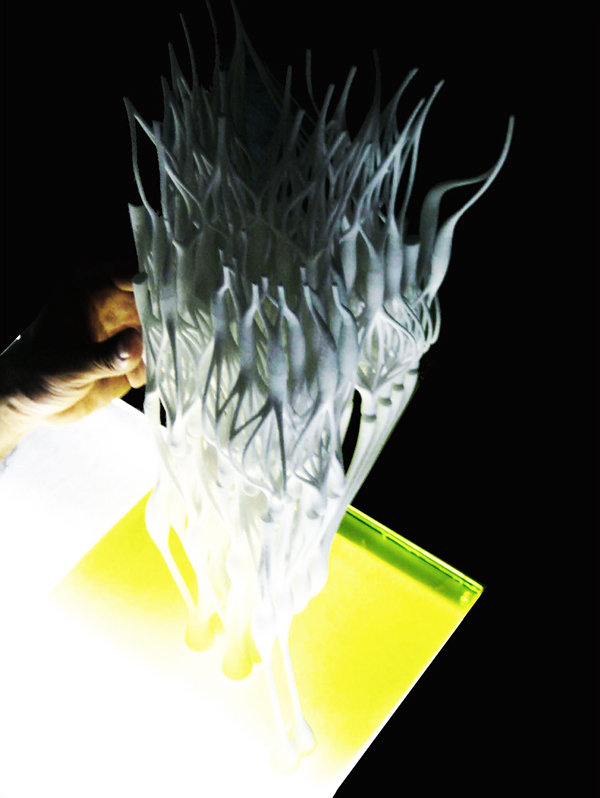 A prototypical fibrous architectural system that reconfigures its spatial/structural distribution based on external sensory data mediated via micro-controllers and scripting. Experiments with single fibre cluster driven by micro-controllers(arduino) for tension and compression studies. Experiments with single fibre driven by arrays of controllers for servo/fibre relational studies.